If your home is found to be in better condition than originally thought, the price can reflect this. Mandatory home energy audits before a home is listed for sale are scheduled for 2019. 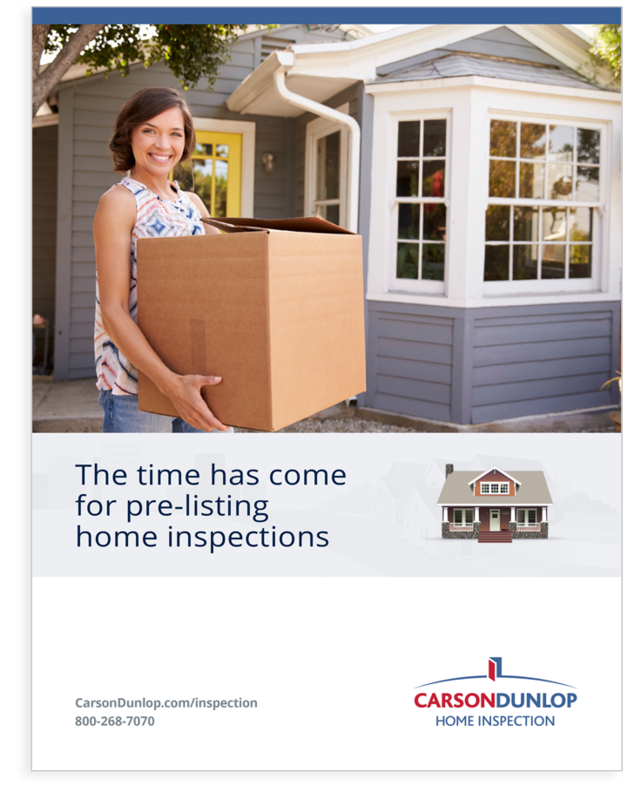 Homes that are inspected before listing will sell 30% more quickly on average. We literally wrote the book on home inspection. Sell your home more quickly, more easily, and for more money with a Pre-listing inspection. Carson Dunlop’s credibility makes prospective buyers comfortable. No conditional offers or 11th-hour renegotiations after buyers get their own inspection. We bring balance and perspective to the inspection and report. 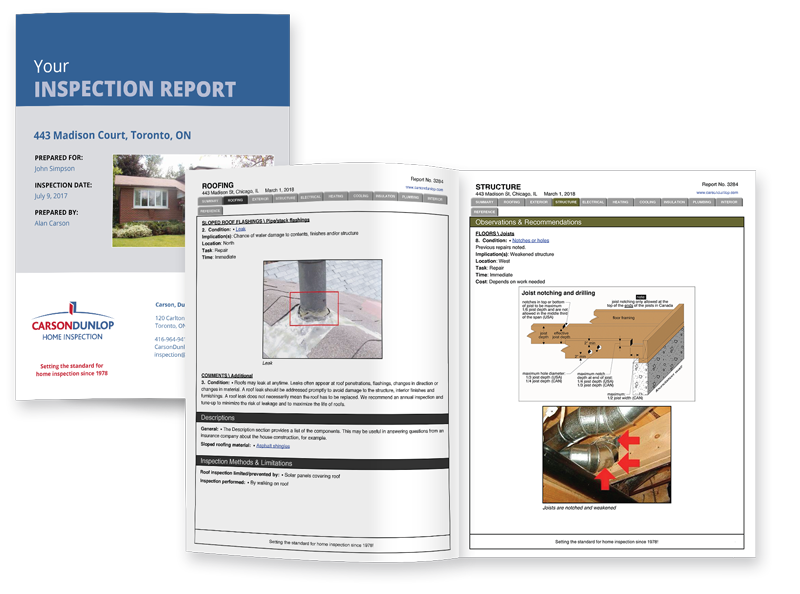 Your easy-to-read inspection report includes illustrated text and photos of your home. It will describe the condition of your home fairly and objectively, and provide appropriate perspective so buyers can be comfortable. This one-page summary for prospective buyers reflects the key findings of the Seller’s Inspection. Plus Package $25 — includes a one-page electronic report summary for prospective buyers. Add it to your listing or feature sheet. You can also distribute it at open houses. Premium Package $50 — includes a one-page electronic report summary, 50 printed colour copies of the summary, plus a printout of the complete report in a Home Reference Book binder. On-Site Review $260 — includes a copy of the report and a walk-through with an explanation of the inspection results by the original inspector. It’s a personalized course in homeownership. Buyers become Carson Dunlop clients and receive the $600+ of additional benefits all our clients receive. Before home inspections were common, sellers had no reason to disclose the condition of their property. But now most buyers want a home inspection to understand what they are buying, and often want to renegotiate based on the inspection results. It makes sense to put the inspection at the beginning of the sales process.